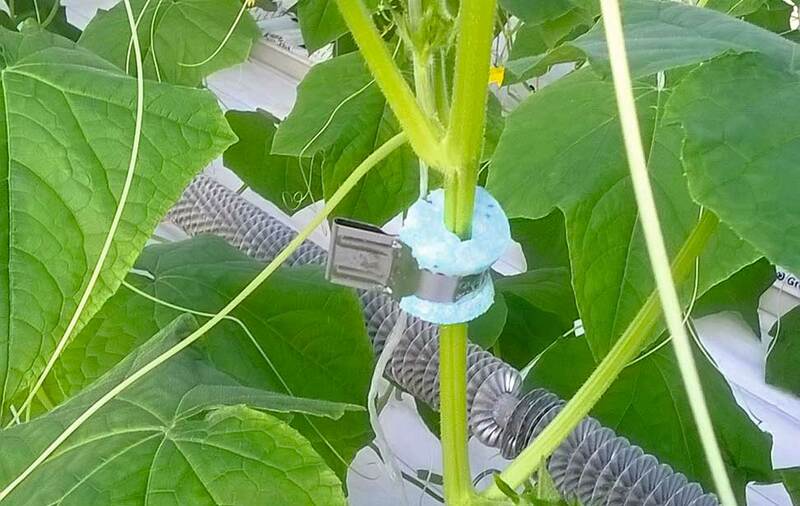 The Qlipr plant clamping system, which consists of a galvanised crop hook and two stainless steel clips, has more than earned its place in cucumber and tomato production. Qlipr is easy to apply and labour-saving and can be used with all growing methods. It also has sustainability benefits: it leaves no plastic or string residues in the crop. This makes Qlipr an environmentally sound, future-proof growing system! ‘I have more than ten years’ experience with the Pellikaan Qlipr system. In 2004 I switched to high-wire cultivation at my cucumber business in Dongen (the Netherlands) and started using Qlipr. Its biggest plus point is that plants can be lowered, pinched out and slid sideways in one single operation. It’s easy and efficient: we were able to cut our workload by as much as 10- to 15 percent! And the fact that the Qlipr system is completely sustainable was an additional advantage. ‘Because of these benefits and the positive results within my own business, I started promoting Qlipr actively when I set up as an independent horticultural advisor in 2007. Since early 2014 I have been in charge of cucumber production at FoodVentures in Georgia: a project backed by Dutch investors, where we also apply the Qlipr system. ‘The Qlipr system is an equally great solution here in Georgia: I’m still entirely positive. Many workers have no affinity with horticulture whatsoever, which means it is important to use a system that people can understand and start working with efficiently straight away. That’s Qlipr in a nutshell: it’s ultra-simple and extremely effective! New staff only takes about two weeks to master the system. Another advantage is that there is less breakage of the terminal shoot and it’s easier to make it clear to staff what you expect of them.